Written by Mike Johnson, with art and cover Tony Shasteen, or a photo-cover. 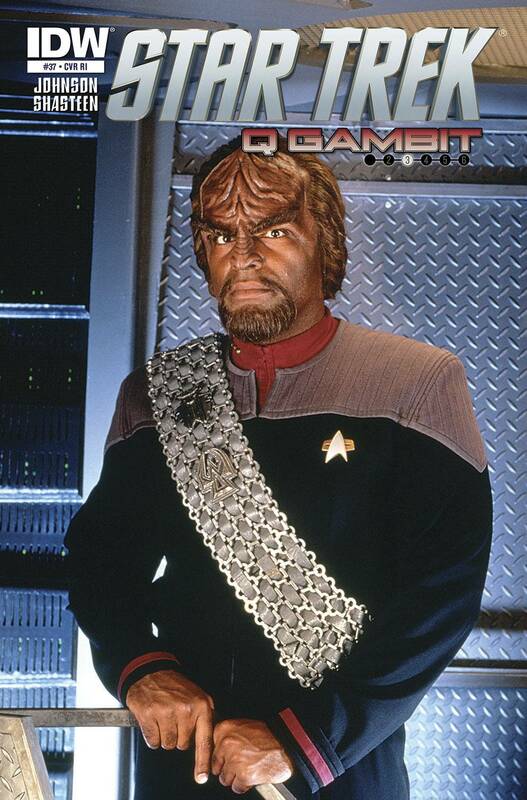 The STAR TREK event of the year continues here, in part 3 of "The Q Gambit"! 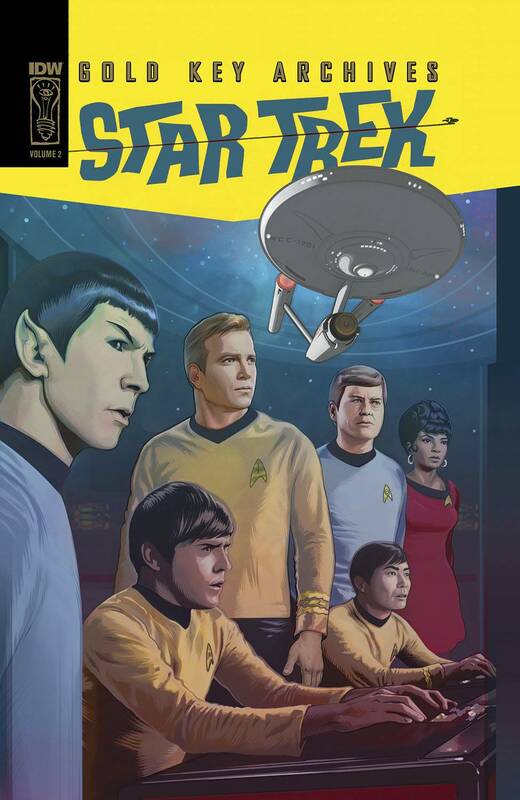 Captain Kirk and the crew of the Enterprise find themselves decades in the future thanks to the mischievous Q. The galaxy has changed beyond recognition... and nowhere more so than on Earth itself! Don't miss this all-new adventure produced in association with STAR TREK screenwriter/producer Roberto Orci! 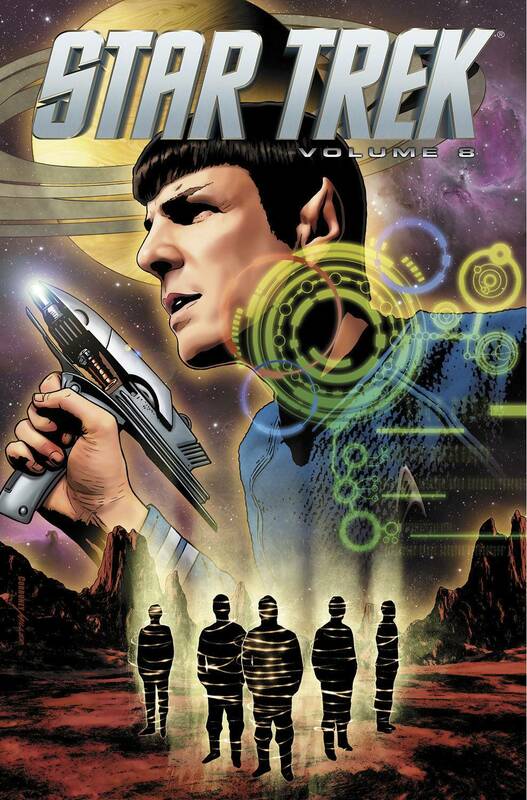 Written by Harlan Ellison, and Scott and David Tipton, with art by J. K. Woodward, and covers by Juan Ortiz and Paul Shipper. 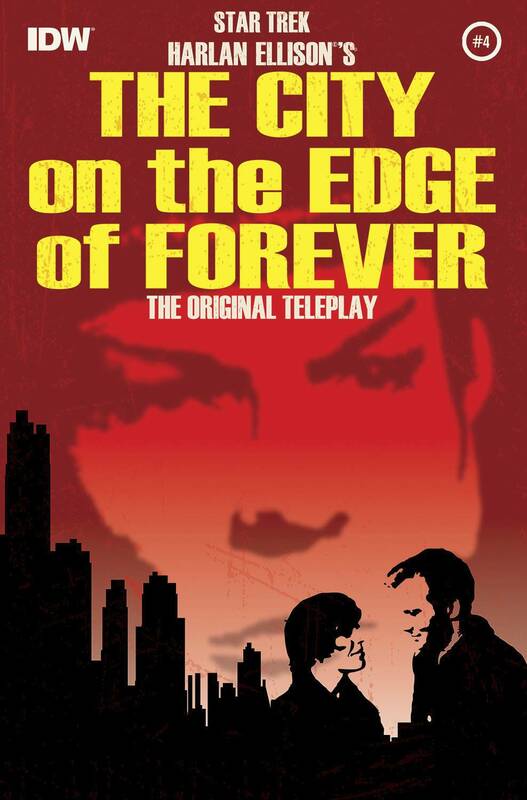 Harlan Ellison's Hugo- and WGA Award-winning teleplay adaptation continues! 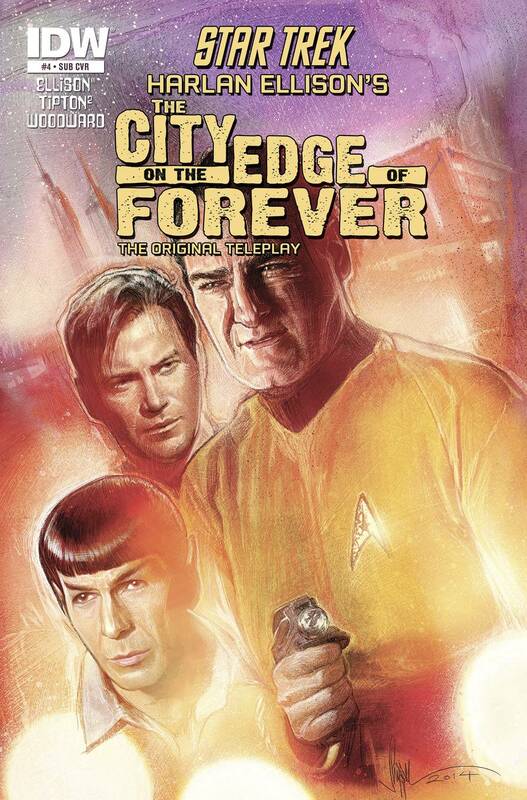 As Kirk and Spock bide their time in 1930s New York, Kirk finds himself doing the unthinkable - falling in love with a woman of the past! And all the while, a murderer from their own era draws ever closer, threatening to alter the very fabric of history! Harlan Ellison's Hugo and WGA Award-winning teleplay, visualized for the first time! Written by Len Wein, with art by Alberto Giolitti, and cover by Michael Stribling. Written by Mike Johnson, with art by Yasmin Liang, Erfan Fajar, and Joe Corroney, and cover also by Corroney. 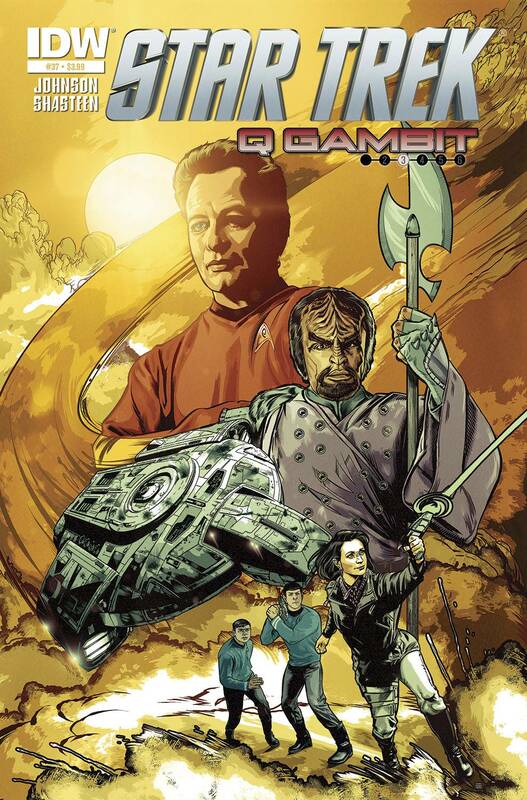 The new Five Year Mission of the Enterprise continues as Captain Jane Tiberius Kirk and her crew encounters a never-before-seen enemy in deep space! That's right... Jane Kirk. Plus, the crew of the Enterprise has never faced a threat like the one they face now: their own ship. And, a deadly new alien species unlike anything the Federation has met before! Thanks to Danny Lavery to pointing me towards the Previews listings.